The Nikkei reports that Hitachi Ltd. and Ube Industries Ltd. will establish a joint venture to manufacture separators for lithium-ion batteries bound for use in the automotive industry. Apparently, both firms are looking to bolster their position in the battery market and hope to do so by joining forces and achieving economies of scale. The joint venture between Hitachi subsidiary Hitachi Maxwell Ltd. and Ube Industries will focus solely on battery separators, handling all aspects, including development, production and sales. 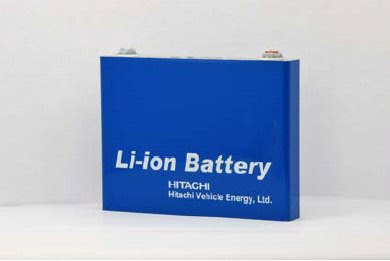 Ube Industries will continue to manufacture electrolyte materials for li-ion batteries without assistance from Hitachi. However, Hitachi Maxwell will provide Ube Industries with its microscopic integrated processing technology, which the firm will utilize to produce li-ion separators. Hitachi announced in July 2009 that they will invest US$207-310 million to increase production capacity for lithium-ion batteries for hybrid vehicles 70 fold by 2015.